The Taft Commission. Image source: H.L. Knight [Public domain], via Wikimedia Commons. Colorized courtesy of Algorithmia. The commission was headed by William Howard Taft, also the American Governor-General of the Philippines. This is why this 2nd commission is remembered in history alternatively as the Taft Commission. In 1902, the United States War Department published the document “Volume XI Acts of the Philippine Commission2,” which was part of the department’s annual report for the fiscal year ending 30 January 1902. From this document, we extract acts of the commission concerning Batangas; and these provide valuable insights about governance in the province. The document’s publication date ought to be kept in mind by the reader. Although the Philippine-American War was officially concluded in July of the same year, General Miguel Malvar’s surrender in April3 for all intents and purposes also put an end to the war in Batangas. In 1902, Batangas was part of the 7th District along with Mindoro and Marinduque. For the province’s Court of First Instance, the Philippine Commission appropriated the following salaries: a) for one judge, $4,000 per annum; and b) one court clerk, $1,100 per annum. A “quartermaster” is a senior officer who “supervises stores and distributes supplies and provisions4. For military commissions that prosecuted crimes in the Department of Southern Luzon, the amount of $3,000 was appropriated for the “pay of stenographic reporters, interpreters and witnesses.” The pay of stenographers was “not to exceed $5 per day in open session of (the) commission and ten cents for each three hundred words transcribed.” Appropriations were made for “repairs and construction of the Calamba-Batangas road…” Also, additional funds were appropriated for the repair of roads in the vicinity of the towns of Rosario5 and Taysan. Occupied as the Americans were with the matter of dealing with Filipino “insurgents,” the setting up of an educational system with English as the medium of instruction was still in its infancy. Hence, interpreters were a necessity in the trials held by the military commissions. 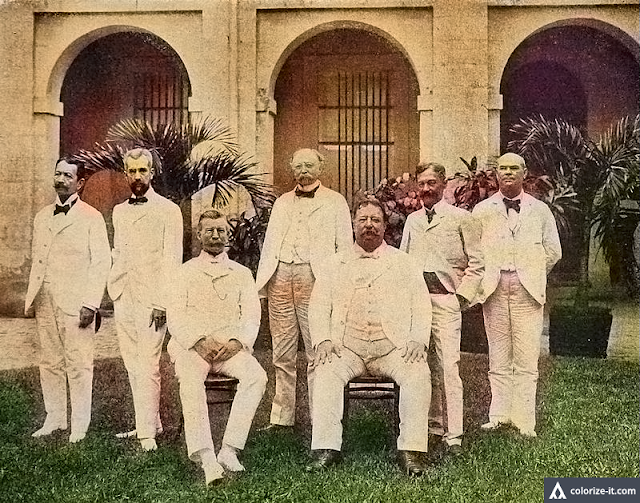 In 1902, the Philippine Commission passed an act stating that a Board of Health was to be established in the different provinces of the country. The Board of Health was to be made up of a President (a qualified physician), the President of the Municipal Board of Health of the capital of the Province (the then-town of Batangas) and the Provincial Supervisor, with the Provincial Secretary acting as Secretary of the Board. The salaries of the Presidents of these boards was to be fixed by the Commissioner of Public Health, and in Batangas was not to exceed $1,350 per annum. Contingent and other expenses such as “part reimbursement of premiums on bonds and rent of offices in Batangas (as well as Aparri) by the Bureau of Post Offices were appropriated. 2 “Annual Reports of the War Department for the Fiscal Year Ended June 30, 1902, Volume XI, Acts of the Philippine Commission,” published by the War Department in Washington D.C. in 1902. 5 In 1902, the town of Rosario was still in what is present-day Padre Garcia.